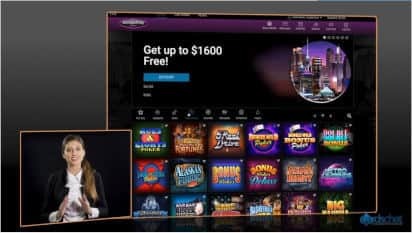 Jackpot City Casino Review 2019 - €/$1600 FREE Bonus! Visit Jackpot City Get Your Bonus! Jackpot City welcomes all players. Fully licensed and regulated. Jackpot City also promotes responsible gambling and the software is licensed by eCogra. Safe & secure banking methods ? All legitimate, real-money online casinos like Jackpot City have strict anti-fraud screens, and that may create a short withdrawal delay. Jackpot City are offering a great welcome bonus. They'll match your first three deposits at 100% allowing you to earn up to $1600 in bonus cash. ? The bonus applies to your first deposit only. Please read the terms and conditions carefully and make sure to take full advantage of the bonus offer. Some online casinos come and go, while others stick around offering players the same great experience for years and years. Jackpot City Casino definitely falls into the latter category, and while the site's lobby could probably do with moving out of the '90s, the games are very much 2019. Certified by eCOGRA - check; proper licensing from a respected jurisdiction - check; powered by the mighty Microgaming - check. Yep, the holy trinity of building blocks is where Jackpot City Casino is at. You can even read current eCOGRA payout reports direct on the site. But what's under the hood at one of the Internet's most respected gaming sites? Let's take a closer look. You want over 500 casino games, 300 of which are slots? You got it. You want games available in download form or ready to play via your web browser, you got that too. In fact, if it's not at the JackpotCity online casino it's probably not been invented. And with Microgaming on-board, you can be assured of playing the best games around. JackpotCity is certified by eCOGRA so you can be sure the portfolio has been audited for fairness, and those RNGs are checked regularly. Blackjack fans are well catered for with some of the best online blackjack games on the net. Jackpot City Casino has a huge range of blackjack available, from regular European blackjack to Multi-Hand games and Atlantic City Blackjack which gives players the insurance option of 'surrendering' their hand in return for half their stake. The full gamut of roulette action is available at JackpotCity, including some pretty slick American Roulette tables and popular variants like Premier Roulette and the lotto/roulette mash-up, Spingo. However, if you know Microgaming, you know they're the go-to guys for top online slots. And MG delivers the goods yet again in a portfolio packed with over 300 online slots to cater for even the most jaded slot machines nut. 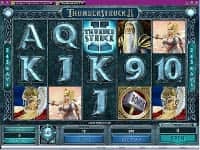 Legendary games like Thunderstuck and Thunderstruck II rub shoulders with big progressive jackpot slots like Break da bank Again and Mega Moolah. JackpotCity players can choose from a huge range of deposit methods at the online casino. The usual culprits like MasterCard, Maestro and VISA can all be used to load up your account while Internet specialities like eCheck, InstaDebit and NETELLER are also available. The casino prides itself on 'super fast cashouts', with most withdrawals promised within 48 hours. VIP players get a faster cashout time on request. Customer support is fast and reliable, with a 24/7 live chat able to answer most of the problems we threw their way. JackpotCity currently offers a tasty welcome bonus that comes in several stages. Real-money players are offered 100% back on their first four deposits up to a maximum of $400 per deposit. While that sounds pretty hefty for the serious players, it's worth checking the site's Terms & Conditions to check the play-through requirements, as this is where things get a little tricky. Bonuses must be played through 50x (ouch), but that's not all: roulette players are ignored totally, while blackjack (excluding Classic) only contributes 10% towards your wagering requirement. 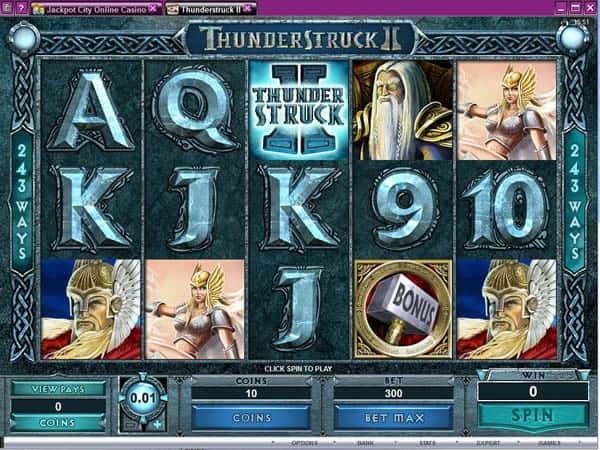 Slots and Keno players, however, are well-catered for, with a 100% wagering requirement eligible for all online slots. Still, hit one of the many progressive jackpots on offer at the casino and that play-through requirement will mean nothing. Loyal players are rewarded handsomely at JackpotCity Casino. You earn casino loyalty points every time you play real-money games. These can be converted for cash when you've accumulated enough. Exclusive promos and bigger regular bonuses can be won if you're a VIP customer at the site too. The requisite personal VIP manager is on hand to give you help and assistance any time of the day. There are plenty of regular promos on offer at Jackpot City Casino. It's safe to say you'll never be short of daily, weekly and monthly offers. Cash, casino credits and free spins for more play, 5-star luxury cruises, and exotic holidays: all can be won as part of Jackpot City's top online casino offers. The site also puts on midweek and weekend percentage match bonuses to give you more cash to spend in your spare time. Being one of the oldest casinos in the game is not something to ignore, especially when it comes to Jackpot City. The casino caters for players from all over the world, doing its best to offer excellent service, including the availability for all its games to be played in as many as 15 different languages. It also uses some of the best technology around, having banked on Java-based games which are accessible by most smart devices nowadays, including but not limited to Android, iPhones, Windows phones, and all kinds of tablets. In addition to wide range of devices you can use to access it, Jackpot City also accepts an extensive range of both named and anonymous payment methods like Visa and Neteller, so you can play anytime from anywhere for real money. 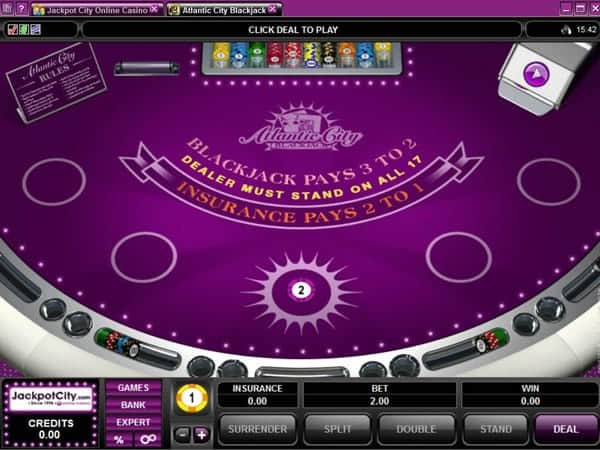 The games available to mobile devices are just as widely varied as on the computer, and the Microgaming technology used for the games ensures your highest experience of graphics and sounds even when playing on the small screen. This means that the device in your pocket can reproduce the full quality and functions of the computer version of the site, even if the model is not the newest on the market. Being such an old casino, you might think Jackpot City might not keep up with new trends, but it has maintained a top position among online casinos since the day it was begun back in 1998. Its huge number of games and its excellent graphics and customer service has kept it a favorite among players. Our testers loved the smooth gameplay and the excellent real-money bonuses available, and found that the casino treated its loyal players to all sorts of bonuses and offers. Add to that the mobile gameplay, and this is one online casino that can do everything! Games: Online Video Slots, Roulette, Craps, Video Poker, Blackjack, Casino Hold'em, Pontoon, Baccarat, Keno, Caribbean Stud Poker, Pai Gow, Sic Bo, Red Dog, Casino War, Virtual Horseracing and more! Join Jackpot City and earn up to $1600!